Dolphins are a much loved part of life here on 'The Heads' . In winter we see then frolicking in the bay in front of our home and in summer they are regular visitors to the boat when we go sailing. They are truly awe-inspiring creatures. 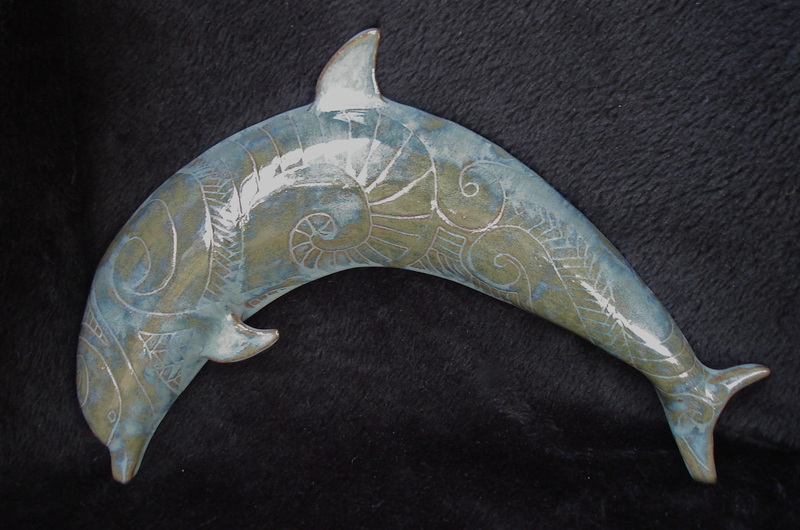 This piece combines the graceful ark of the jumping dolphin with the carved koru, a key element in Maori Art.